The Institute for Policy and Engagement has been unveiled to colleagues across the University of Nottingham. 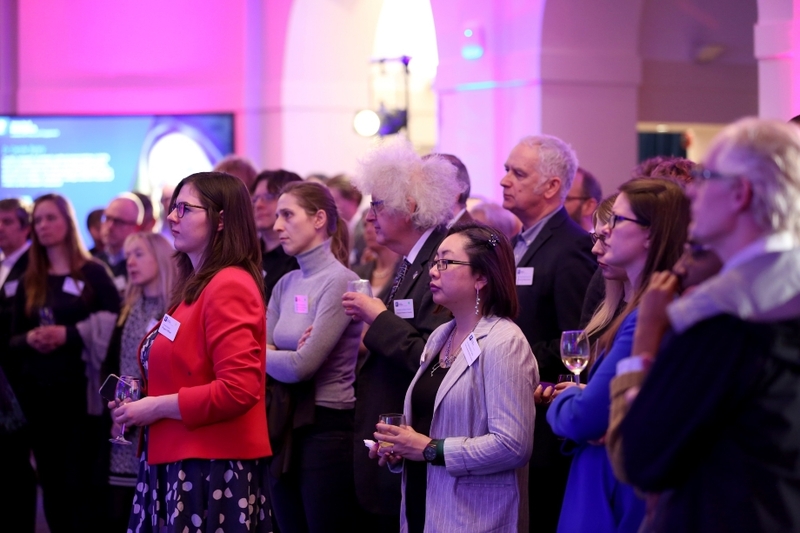 “It was tremendously exciting, and not a little humbling, to see so many people packed into the Senate Chamber to wish us well and hear more about our plans for the coming year, including high-profile events to introduce the Institute to a wider public. Our Vice-Chancellor, Professor Shearer West, set out how the Institute fits with her vision of a university without borders, and how the Institute is a vehicle to facilitate our engagement with the world around us, starting with the communities in which we live. 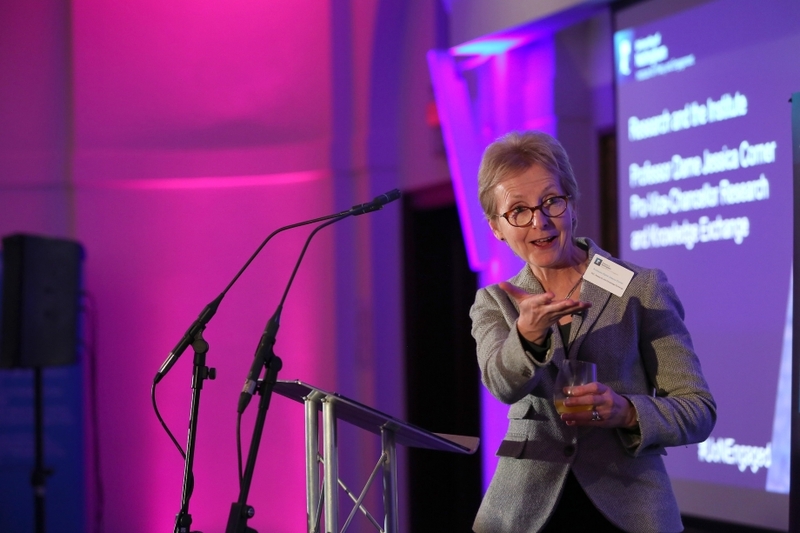 Pro-Vice-Chancellor for Research and Knowledge Exchange, Professor Dame Jessica Corner, talked about how the Institute is a vital pillar of our research strategy, with its ambition to transform lives. I set out my vision for the Institute, and what it will do over the coming year. I want to focus here on the purpose and vision; in future posts I’ll set out detail on our programme of activity. To illustrate the Institute’s purpose, I’ll start from my own experience, as a policymaker for over a quarter of a century. During that time the challenge of offering good advice got harder. The challenge of navigating intelligently more information than you can possibly hope to process, against ever tighter deadlines, in an increasingly polarised political environment, and in an always-on news cycle where opportunities for reflection are limited and pressure to do something, anything, is often overwhelming. And I’ve not just been a policymaker – like all of us I am a citizen, navigating in my daily life big decisions on things that affect me, my family and generations to come, whether that is how I vote, how I spend, what I eat, how I travel… And here too I am bombarded by information; some great, some worthless. It often hard to tell which is which. Universities are uniquely well-placed to help policymakers and public navigate this complex environment. Of course universities aren’t just there just to provide policy impact or promote public understanding through engagement. But I would argue this is exactly why Universities are so well-placed to help people navigate a complex world – their primary purpose isn’t to influence, but to pursue truth. There are many other groups that play a navigating role for public and policymakers, and many do it well. Thinktanks, lobby groups, NGOs all have an important and valuable part to play in debate in a pluralist society – or at least those who are transparent about their funding do. But the difference between them and us is that fundamentally their stock in trade is influence; and their funders will often shape not just what they look at but how they frame their solutions. We are different. Why? Because we can be driven by curiosity, because our success is to have got close to some kind of truth – indeed because we spend an inordinate amount of time worrying what truth is. This gives us a different perspective. And this is why we can help people – from global policymakers to the communities around us – sort the signal from the noise. The Institute is here to help make that happen.